Bruce Springsteen has taken to social media to address his plans for next year following headlines from a UK report that suggested the singer would be heading out on the road with the E Street Band. 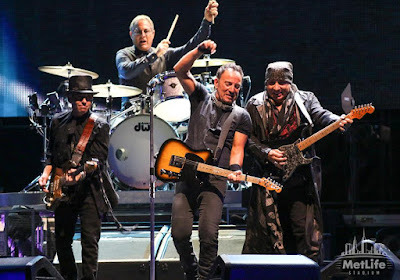 In a new interview with The Times, the media outlet referenced a UK tour by the New Jersey rocker and his group without quoting Springsteen directly, which has prompted the singer to set the record straight. “Just a note to quell some of the rumors over here on E Street,” Springsteen writes. “While we hope to be back with you soon, the E Street Band won’t be touring in 2019. Before I go back to my day job, the year will be consumed with a break after our Broadway run and various recording projects I’ve been working on. The rocker has spent the past year performing his solo “Springsteen On Broadway” residency at the Walter Kerr Theatre in New York, which will wrap up on December 15 after a total of 236 shows. In sync with the completion of the series, Springsteen is releasing a film of the event via Netflix – where it will premiere on December 16 at 12:01 AM PT / 3:01 AM ET – and a companion soundtrack album, which will arrive on December 14.